I think it’s safe to say that Singapore is the most expensive country to live in Southeast Asia. In general, the Southeast Asia region is pretty cheap compared to other regions, such as North Asia (where Japan and Korea are located at). Budget travellers are mostly attracted to Thailand because of its low living cost. Many would skip Singapore in a heartbeat. As someone who have lived in the tiny red dot for over a decade, let me tell you the truth that you deserve to know: It is possible to travel Singapore on a budget. To convince you, I’ve come up with a list of 8 awesome places you SHOULD and COULD visit for free. Should, because these places are so gorgeous you’ll thank God that you have made the right decision to come. Could, because the transportation system in the country is so extensive, it’ll cost you not more than $3 transport fare from wherever you are to these places. These humongous Supertrees are nothing like your typical trees. 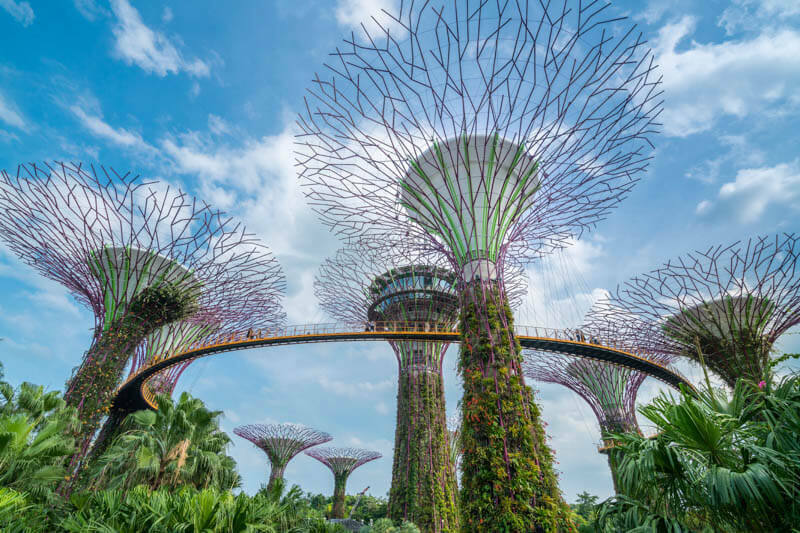 These trees are 50-meter high, provide shelter for plants from all over the world, don’t require soil, harvest solar energy and make you feel like you’re not on Earth. I’d highly recommend you visit the trees twice. Once during daytime for that Insta-worthy shot. Once more at night for the Garden Rhapsody Show, which is displayed daily at 7.45pm and 8.45pm (be there early, the show is only 15 mins long and it’s a little tricky to find the way). Have extras to splurge? Visit the magnificent Flower Dome and Cloud Forest conservatories . Food lovers would love to dine at the rooftop of Supertree (minimum spent of $80 is required). I bet you’ve seen Merlion everywhere on the internet when you research for things to do in Singapore, am I rite? Well, that’s because the Merlion is Singapore’s icon that you MUST visit. “Singa” means lion, thus the head of Merlion is a lion’s head. 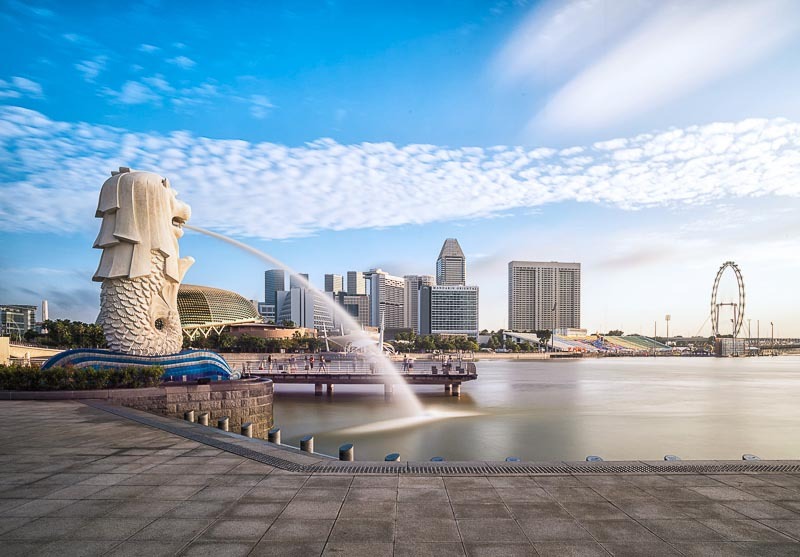 Merlion has a body of a fish, which symbolises Singapore’s beginning as a fishing village. Merlion Park is always open, so you can visit it anytime any day. But let me warn ya: it’s freaking crowded on weekends during the day. I recommend that you go there early in the morning so you can have a photo without anyone in the background. Near the main Merlion, there’s also a small Merlion, go look for the cutie-pie! Have extras to splurge? Ride the Singapore River Cruise to admire the beautiful skyline of Marina Bay and colourful shophouses of Clarke Quay & Boat Quay (boarding point at Clarke Quay). 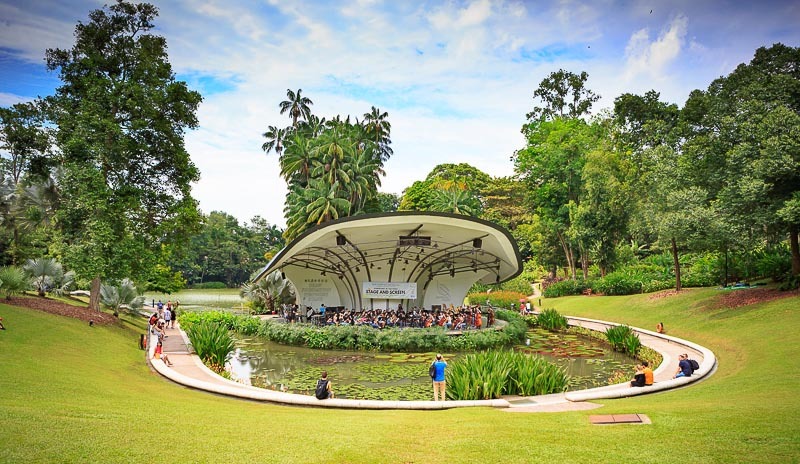 On 4 July 2015, Singapore Botanic Gardens became Singapore’s first UNESCO World Heritage Site. It is also the first and only tropical botanic garden on the list at the moment. 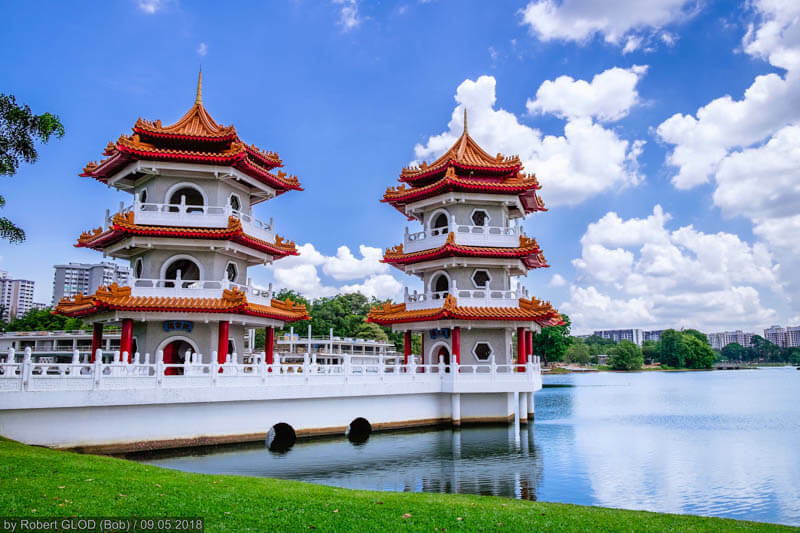 This charming 74-hectare Garden houses more than 10,000 types of plants and the region’s most significant collection of palms, orchids, cycads and gingers, according to National Parks Board. Start your journey from Bukit Timah Gate near the Botanic Gardens MRT and end your journey at Tanglin Gate, from which you can walk to the largest shopping road of Orchard Road. Explore the garden leisurely at your own pace or join the free guided tour, held every Saturdays by the volunteers. 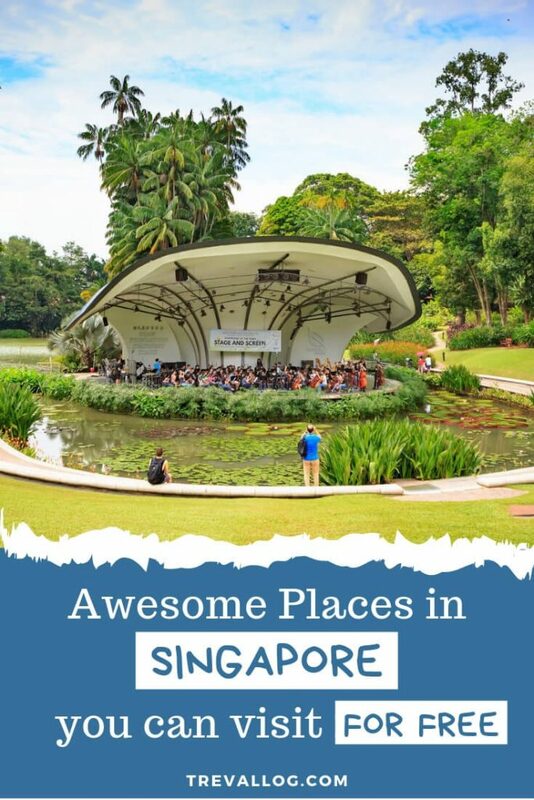 Free things to do and see in SBG: Exhibitions, Jacob Ballas Children’s garden, Ginger Garden, Bonsai Garden, SBG Heritage Museum & CDL Green Gallery, Library of Botany and Horticulture, Swan Lake, wedding photoshoots (SBG is a popular photoshoot location). Have extras to splurge? Visit National Orchid Garden (admission SGD 5, opens daily from 8.30am to 7.00pm) where you can find over 1000 species and 2000 hybrids of orchid. 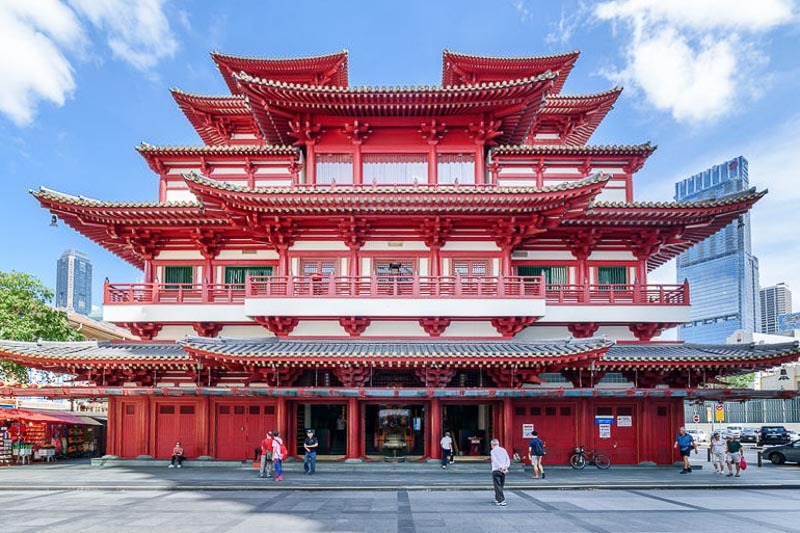 The astounding Buddha Tooth Relic Temple (BTRT) is home to the Sacred Buddha Tooth Relic as well as other Sacred Buddha Relics. Both Buddha devotees and non-devotees will be able to learn about history of Buddhism and Buddha’s teachings by visiting the Museum and various Halls. Expect to spend at least 1 to 2 hours in this grand building of 4 storeys with roof and a basement. I highly recommend that you dine at the Vegetarian Dining Hall at basement. The food is really delicious and pretty affordable (about $5 per meal). 1. Do wear appropriate attire to show respect. For example: no shorts, no mini skirts, no bare shoulder/back. There are sarongs you can borrow at the entrance of the temple. 2. Don’t eat non-vegetarian food inside the temple. 3. Don’t bring pets inside the Temple. Opening Hours: 9am to 6pm daily (Museum and stupa Chamber); 7am to 7pm daily (other areas). Have extra space in your tummy? Eat the Michelin-starred Liao Fan HK Soya Sauce Chicken Rice at Chinatown Food Complex (#02-126) located just behind the temple. From BTRT, walk for about 170m to Sri Mariamman Temple, the oldest Hindu temple in Singapore, built in 1827. In the past, it was the only authorised temple to solemnise Hindu marriages. 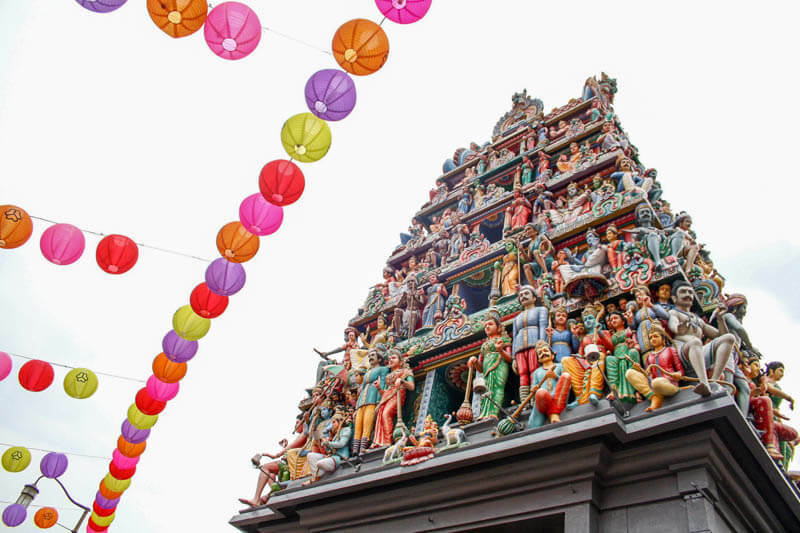 The entrance of Sri Mariamman Temple consists of a six-tier grand tower decorated with sculptures of deities, mythological beasts and other beings. Don’t show bare shoulder, bare back. You can borrow cover-ups from the temple. Do wear pants that cover your knees. You can borrow sarong from the temple. Don’t wear footwear inside the temple. Opening Hours: 5.30am to noon; 6pm to 9pm daily. Where should you go if you’re craving for Sun, Sand, Sea and Zest? Sentosa, obviously. I remembered when I came to Singapore for the first time as a tourist nearly 20 years ago, Sentosa was a place of fun for the little girl in me. The truth is, Sentosa is still a fun island for me. 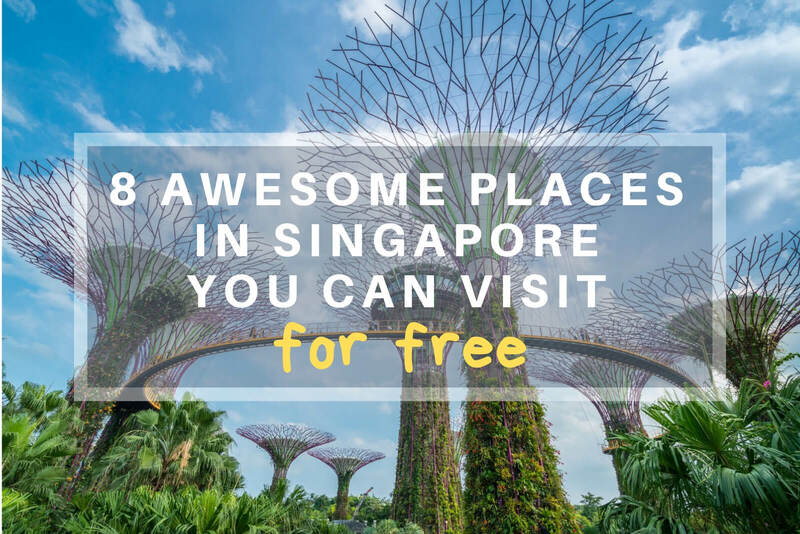 This island has everything from Universal Studios Singapore, Adventure Cove water theme park, casino, cable car, zipline, bungee jump, beaches, Merlion statue, the ultrarich cluster at Sentosa Cove, etc. 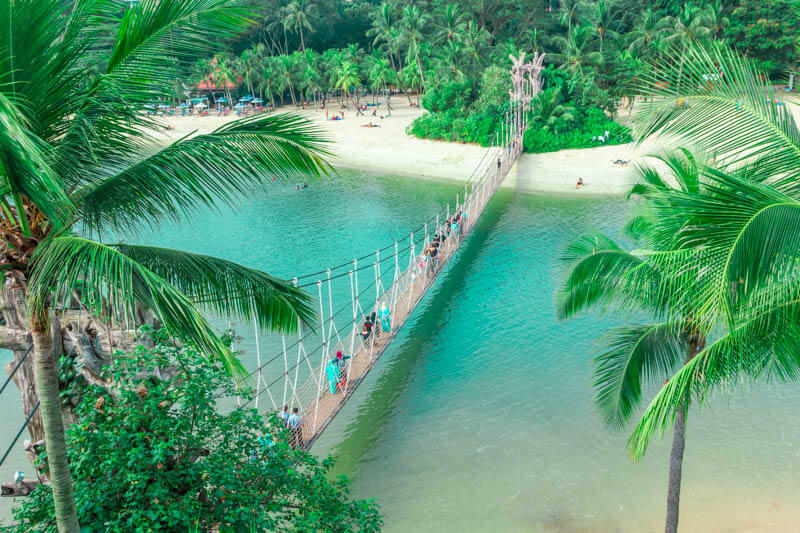 There’s just too many things to do and see in Sentosa. Admission to the island is free if you walk across the boardwalk. You can also take bus 123 from Orchard (you just need to pay the bus fare), bus RWS8 from VivoCity (bus ticket is $1), Sentosa Express from VivoCity Level 3 (train ticket is $4 ), cable car from Harbourfront Tower (walk-in ticket is $35, online ticket is $24.5 ). Trail lovers, you’re gonna love this one as much as I do. MacRitchie Reservoir has a special place in my heart because I used to run the 10km loop trail weekly when I trained for my marathons. There’s tranquillity at the trail and reservoir that you don’t find often in the city. Even if you’re not a runner, MacRitchie is a great place for a walk in the forest, a kayak and a close encounter with the nature. 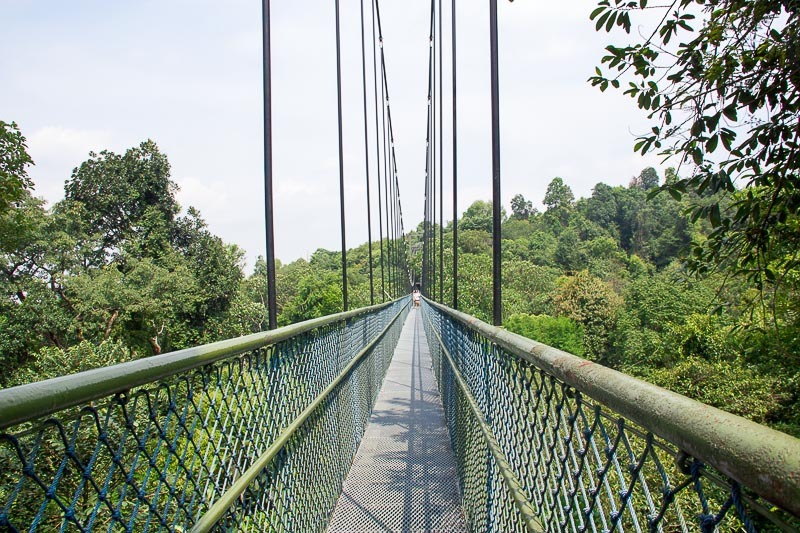 The best thing about MacRitchie Reservoir that you don’t want to miss is the TreeTop Walk, a suspension bridge that’s 250m long and 25m high from which you can enjoy breath-taking view of the forest. 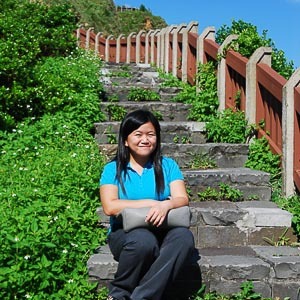 If you’re only interested to go to TreeTop Walk but are not keen to do the entire trek, the best way is to start from Venus Drive entrance and then walk 2.5km to the TreeTop Walk. Don’t go there too late because the last admission is 4.45pm sharp, and they’re closed on Mondays except public holidays. Along the trek, be mindful. You might encounter monkeys. They love to block the trail. Just stay calm, don’t provoke them, don’t carry plastic bags or any food with your hands. TreeTop Walk Opening Hours: 9am – 5pm (Tuesday – Friday); 8.30am – 5pm (Sunday & Public Holidays). Closed on Mondays, except on Public Holidays. Last admission 4.45p sharp. As you step into Chinese Garden, you can’t help but feel like you’re somewhere in China. The design is inspired by the northern China imperial architectural styles. The stone lions at the entrance, pagodas by the lake, the stone bridges, the courtyard. Next to Chinese Garden is its sister Japanese Garden, whose landscape style is inspired by the Muromachi and Momoyama periods of Japanese history. Spend some time here and you’ll feel like you’re in one of Japan’s park. Note: Part of the garden is closed for construction. Visit here for more information. 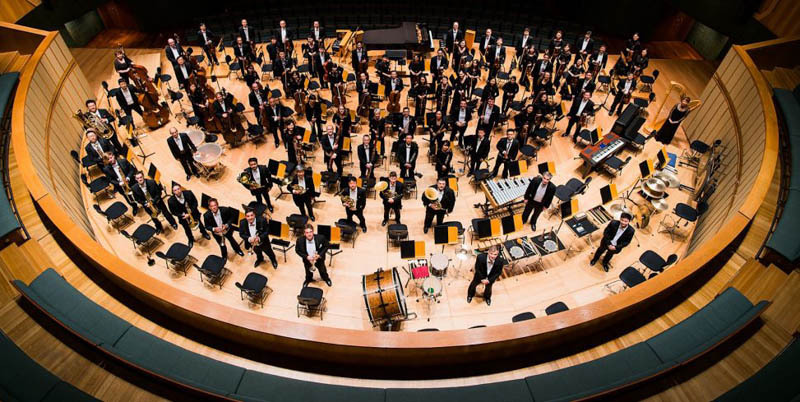 This definitely falls under event rather than place but I don’t want you guys to miss out this incredible opportunity to attend free concerts from Singapore Symphony Orchestra, the country’s flagship orchestra that has been touching lives for decades since 1979. The free concert is only available about once or twice a month. Pre-registration is often required. Here’s the schedule of the free concert. A music lover and has extras to splurge? I urge you to support SSO by attending their affordable concerts. 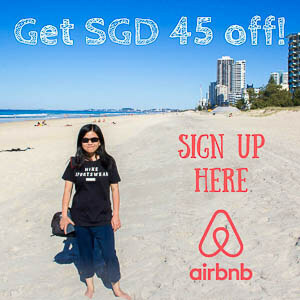 Do you have other awesome free places to recommend in Singapore? Let me know in the comment!